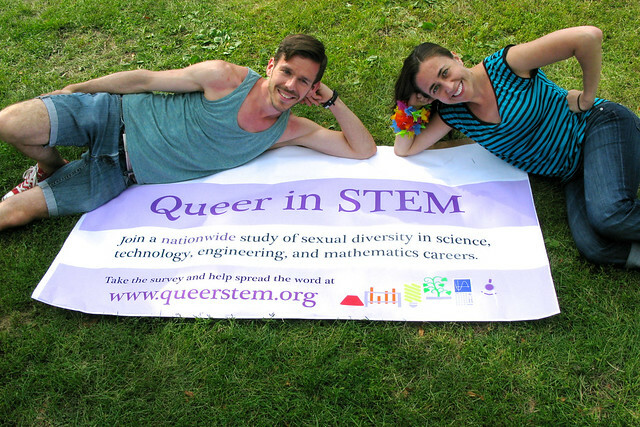 Queer in STEM: Happy Pride! We had a great time at the Twin Cities Pride Festival yesterday—and met a bunch more queer folks working in STEM. We were especially happy to make some new contacts in STEM-related education and industry, which should help broaden the study's perspective quite a bit. Yesterday's recruiting kicked off a final push for survey participants—we're now anticipating closing the survey by the end of July. So if you haven't taken it yet ... well, what are you waiting for?